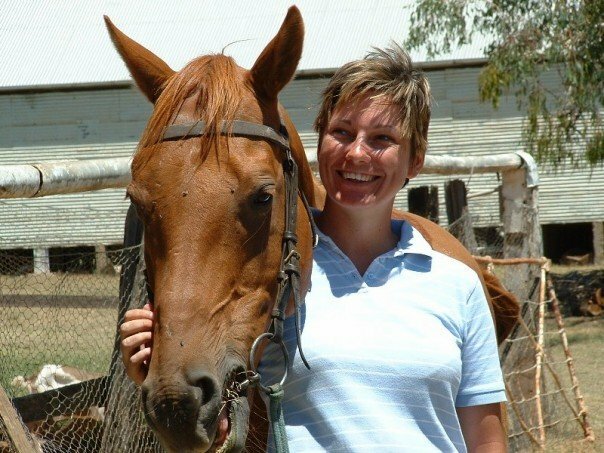 Hannah spent a year traveling across Australia working with horses. The first leg of her trip brought her to Okehampton, a cattle station in New South Wales. She took ‘jackaroo courses’ for a week and learned how to muster or round up cattle. Billy, an affable Quarter Horse became her working partner. 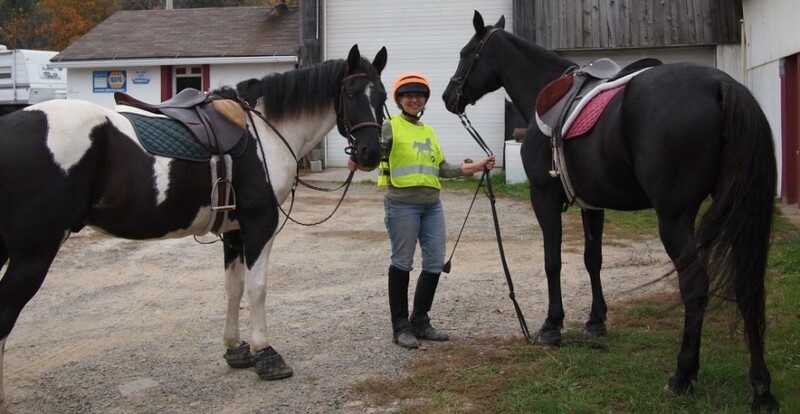 After a week on the course she became a riding instructor for the program and stayed another two weeks. 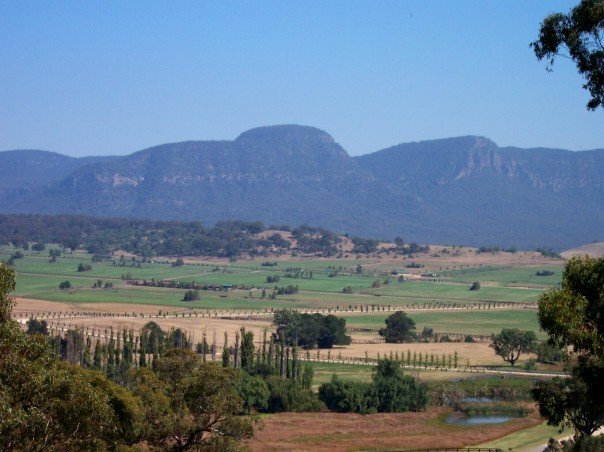 Hannah packed her bags and moved on to Scone, an isolated town in picturesque Hunter Valley. 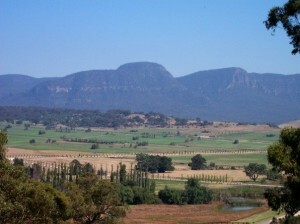 The town was home to the Thoroughbred Breeding Headquarters of Australia. In search of a job, Hannah checked into a cheap hotel, rooted through a phone book and rang up every stud farm in the vicinity. She landed a job looking after mares and foals at Coolmore Australia. This began a six week stay and involved caring for some of the most well-bred horses in Australia. Her day to day responsibly included caring for two mares; She’s Archie and L’On Vite. She’s Archie, although newly introduced to the race track, came in 1st in the South Australian Oaks and 2nd in the Melbourne Cup. L’On Vite’s personality left something to be desired as she proved to be nippy and often in a grouchy mood. 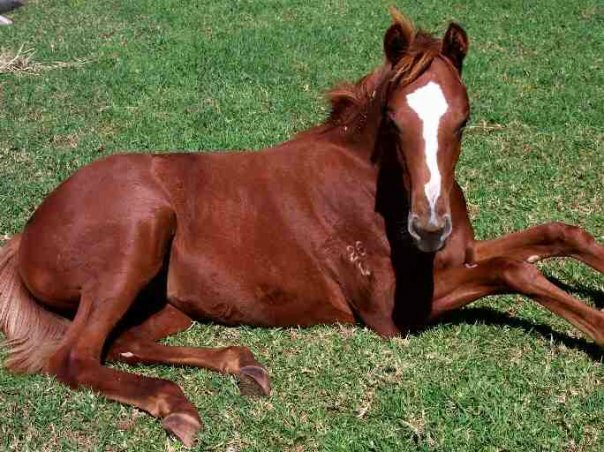 However, Hannah felt the mare had the best bloodlines on the farm having Secretariat for a sire and Fanfreluche for a dam. As Hannah’s dream job unfolded there were moments which were anything but jolly. She found herself stepped on, bitten, kicked and run over within a short period of time. The weanlings looked cute until one double barreled her in the chest resulting in a trip to the local hospital. The doctor seemed more interested in the farm’s celebrity stallion, Encosta de Lago, than her injury. Luckily, Hannah only had sever bruising and no internal injuries. 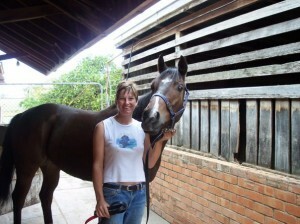 She moved on to a stable in Melbourne where she cared for several unraced two year old colts. Although she had been involved with horses her entire life here she came to realize how truly different equine personalities could be. She gave each a nickname according to their idiosyncrasies. Logic could be cunning, sneaking in a nip when Hannah wasn’t looking. Denny, the clown, enjoyed play. Hemmers hated getting up in the morning and lay moaning refusing to begin the day. Dennis nervously walked his stall making a mess; head shy, he proved difficult to bridle. Ross, beautiful and majestic, displayed noble grandeur. Hannah’s big racing adventure came to a close at the end of an action packed year. Looking back, she remembered the pain, joy, exhilaration, delight, and perhaps on occasion fear of her jobs; racing strapper, groom, turf club secretary, race day vet assistant, Magic Millions auction vet assistant and many more. She left Australia with journals full of horse adventures. Hannah traded her saddle in for Anglia Ruskin University in Cambridge and embarked on a career as a novelist. She received a degree in Writing and Film Studies and won two prizes at the university; one for top of her year and the other for the best dissertation/major project, which happened to be the first few chapters of Share and Share Alike. 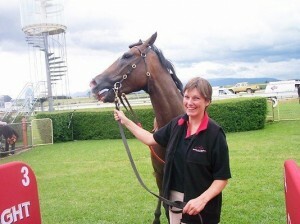 Even though her riding days ended, she stays abreast with the UK racing scene by visiting the track. Hannah’s memories and journals give her novels detail; breathing life into her work. As of this date, she has written four novels. Currently, she is working on her next book in the Aspen Valley series. If you’re looking for an entertaining, light romantic novel involving horses try one of Hannah’s books. I don’t think you will be disappointed; I wasn’t.